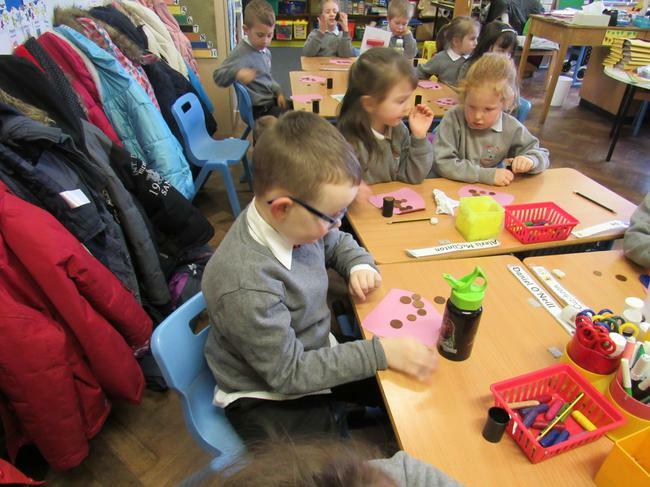 We have been learning how to use money. 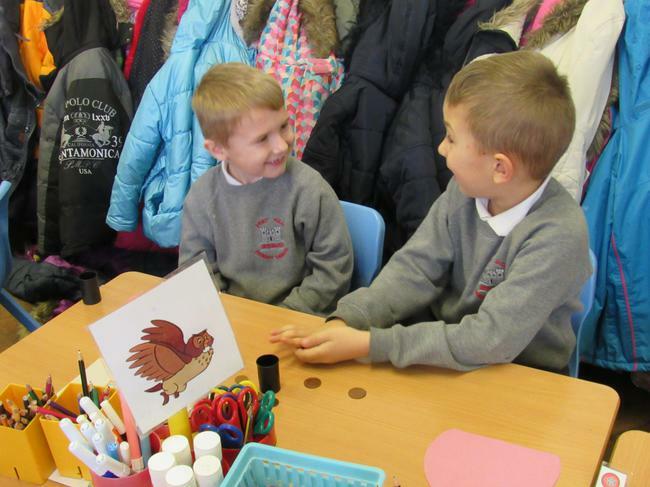 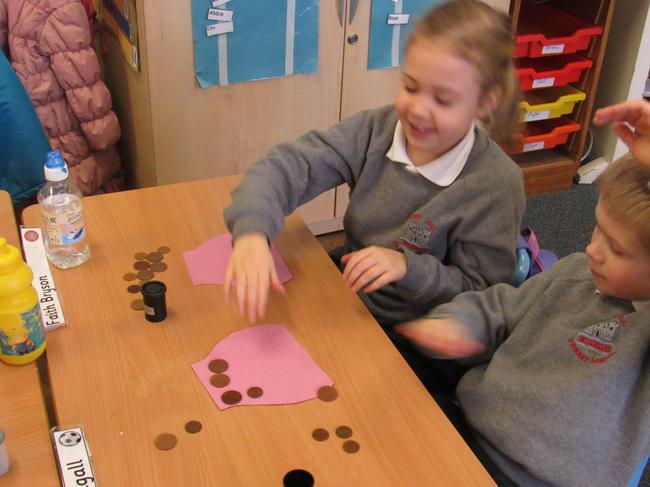 We play games to help us count coins and make different amounts. 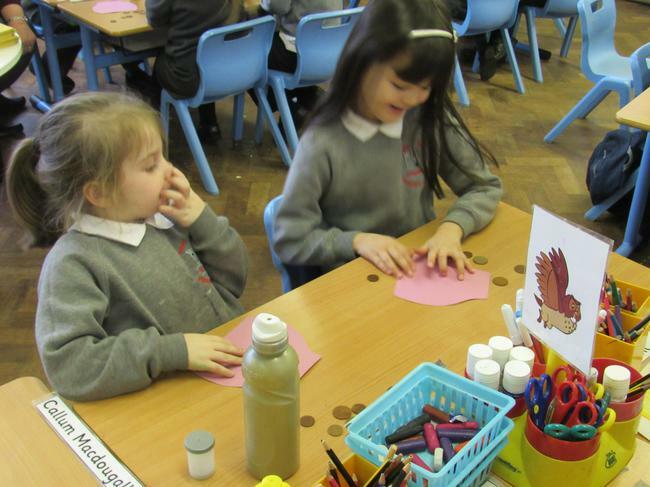 Our favourite game is the "Shopping Game". 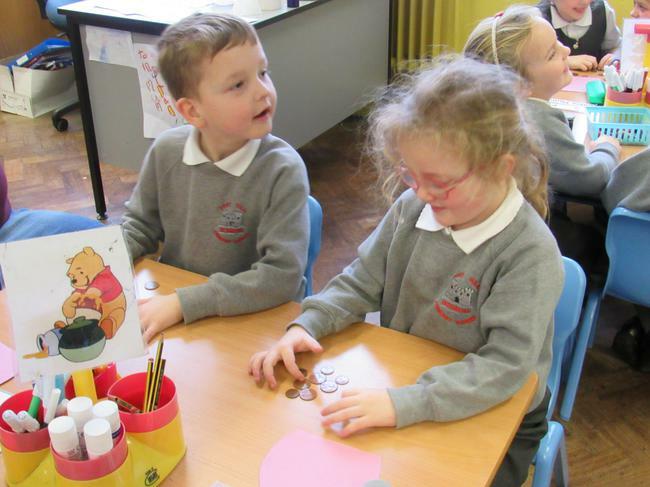 Sometimes we go shopping in the toy shop or sometimes we go shopping in the fruit shop. 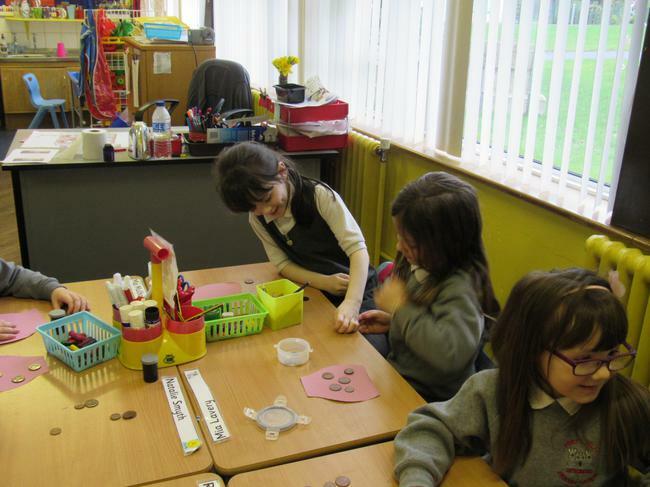 When we play this game we take turns being the costumer and the shopkeeper - it is so much fun! 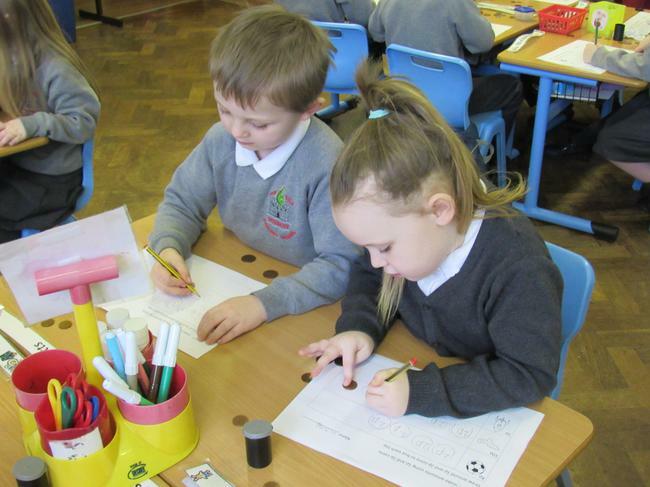 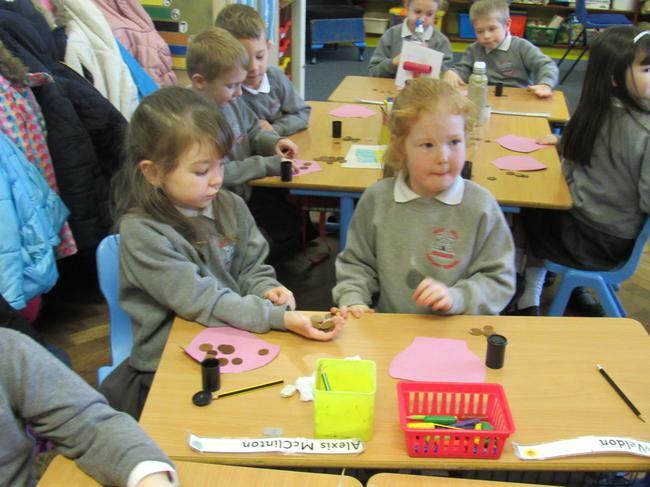 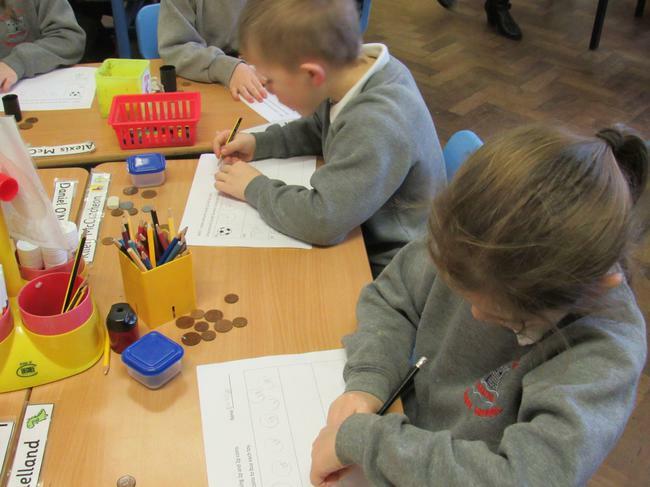 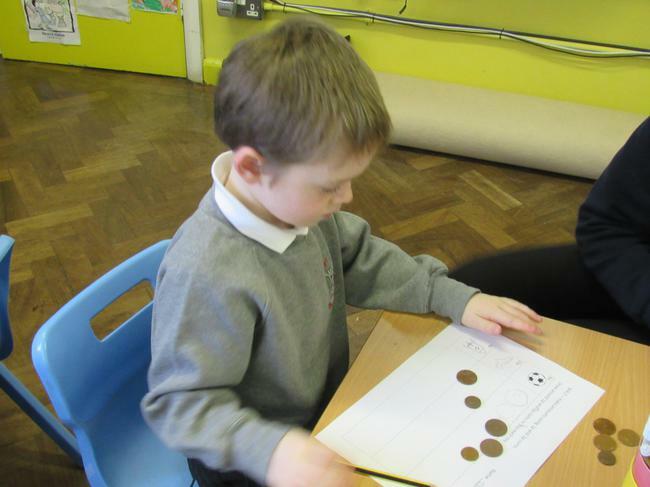 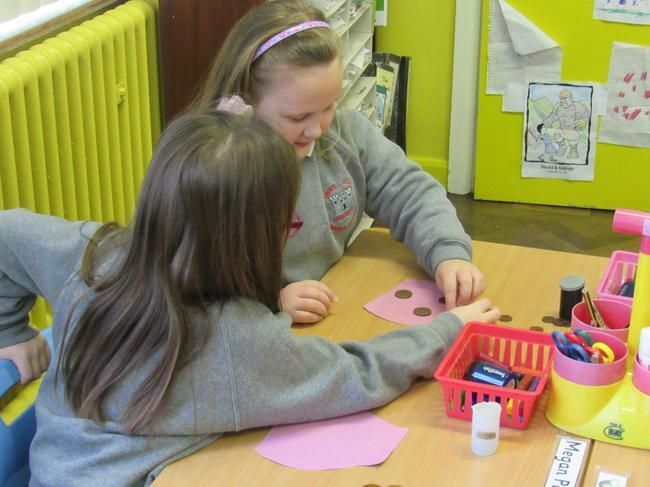 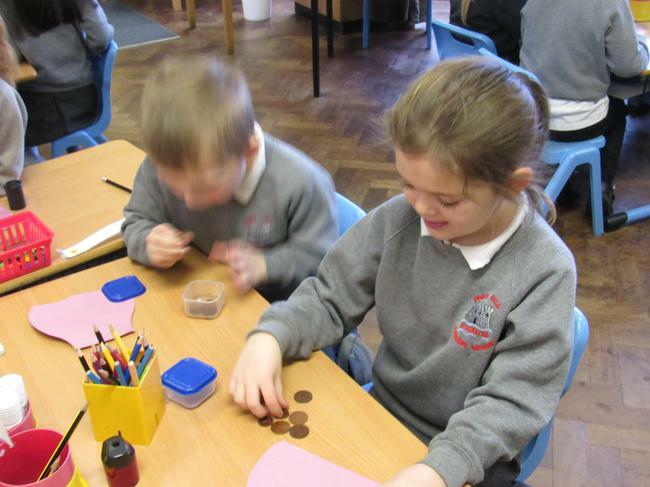 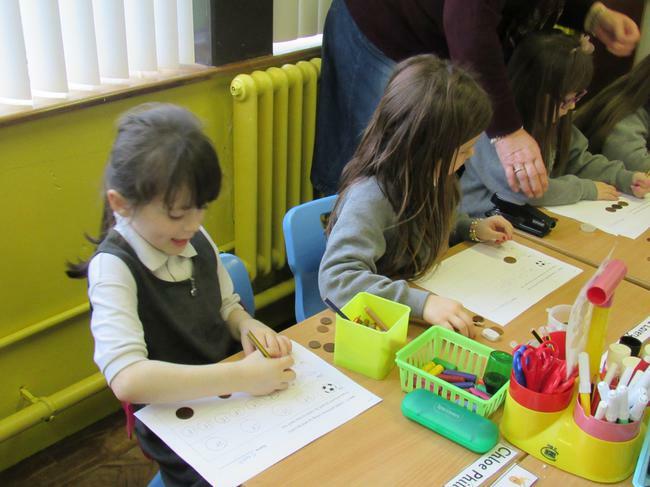 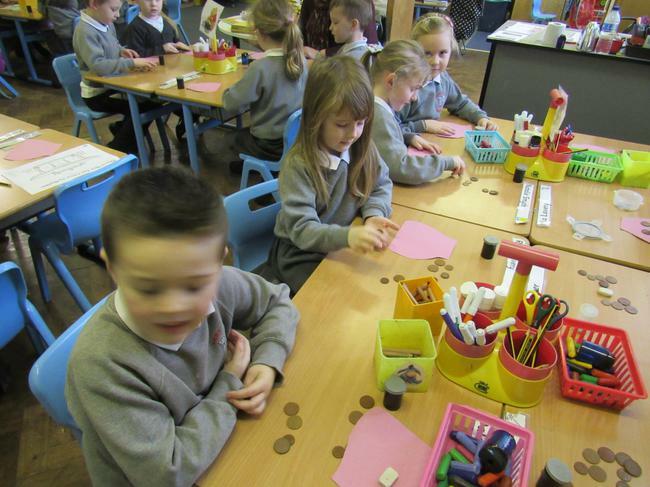 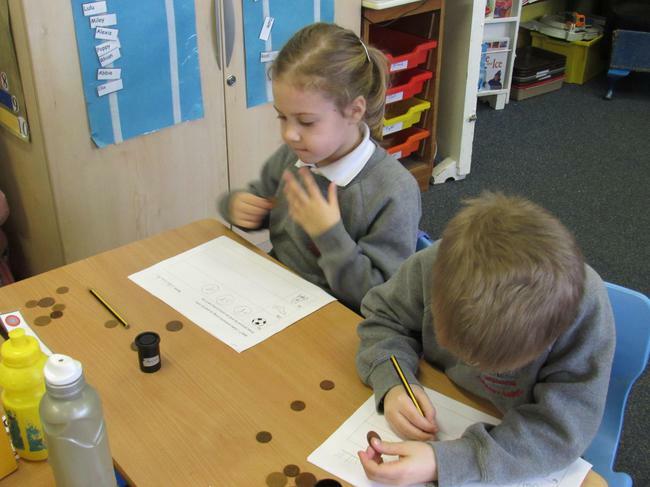 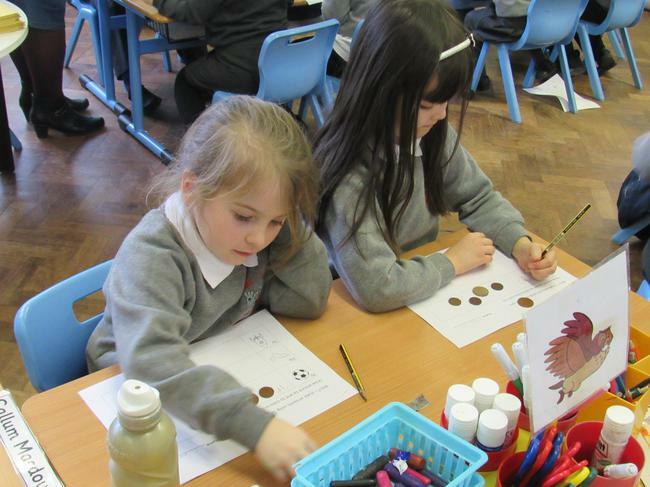 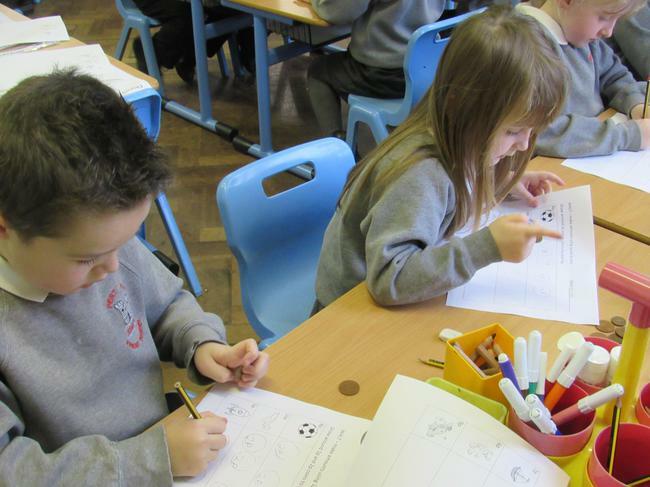 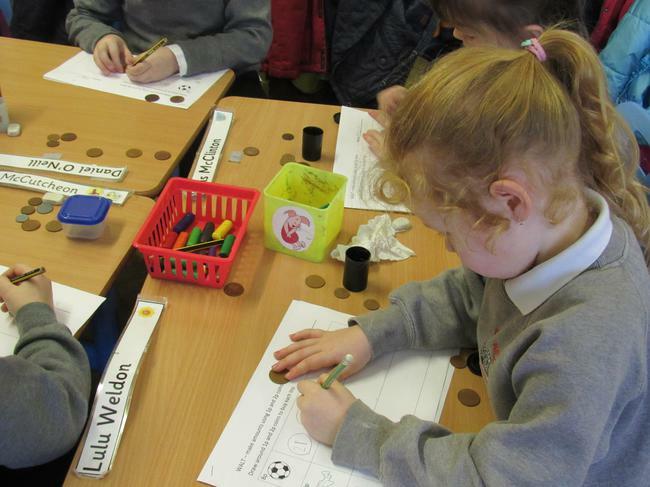 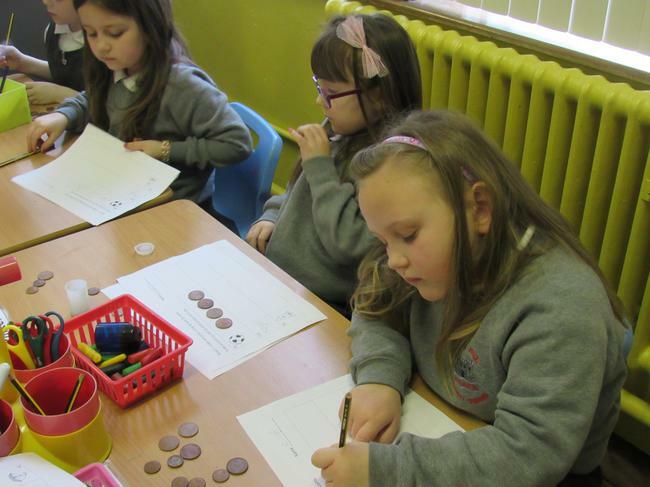 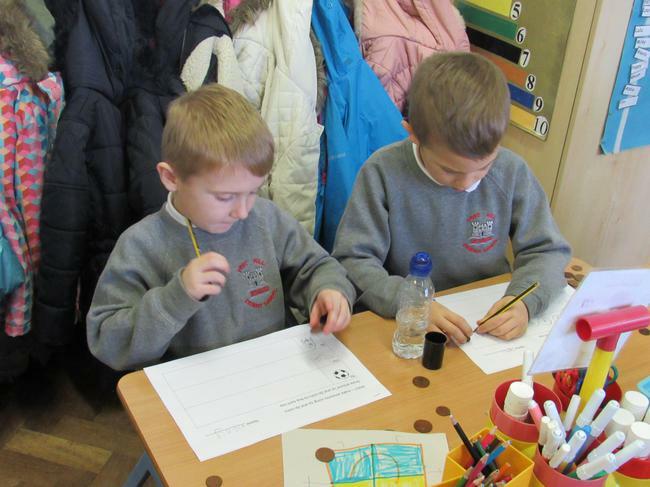 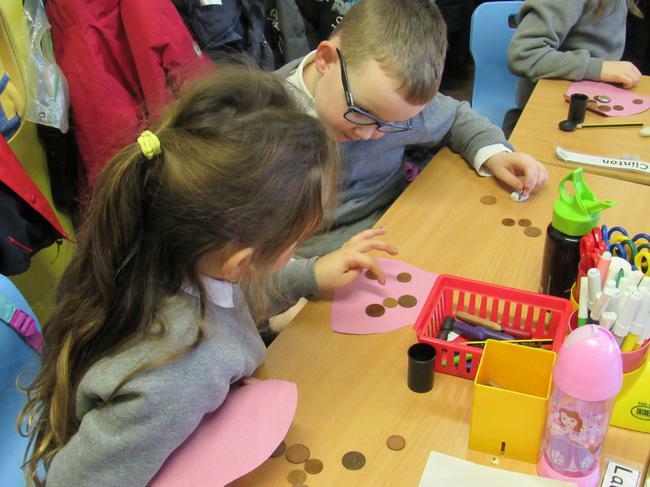 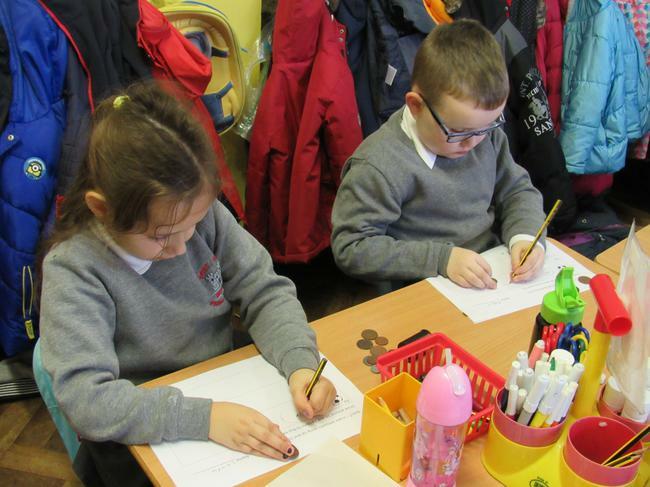 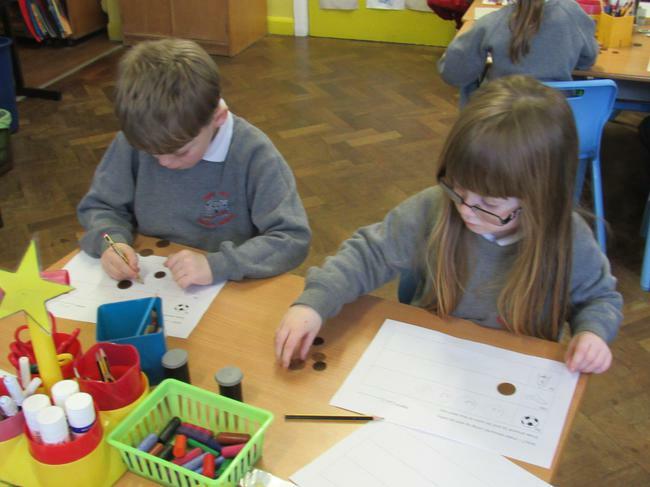 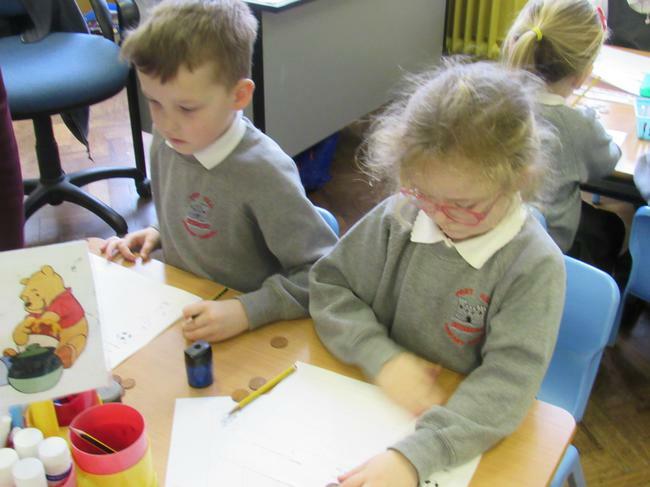 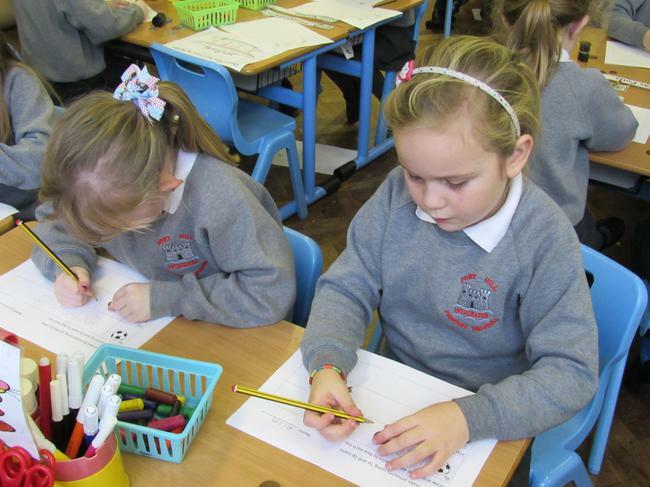 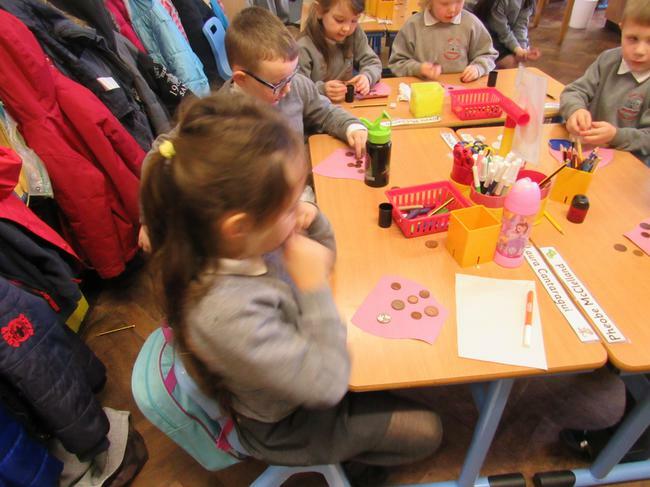 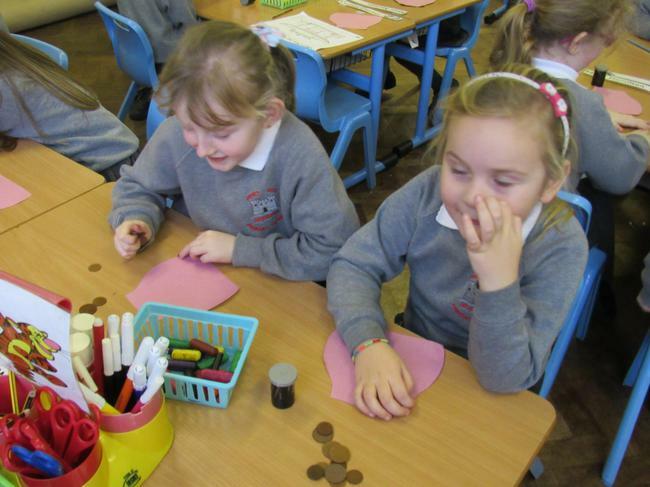 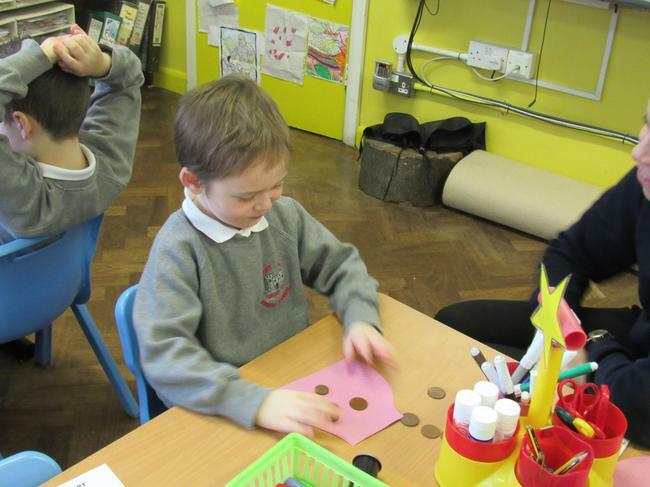 We also make amounts by drawing around coins using 1p, 2p, 5p and 10p coins. 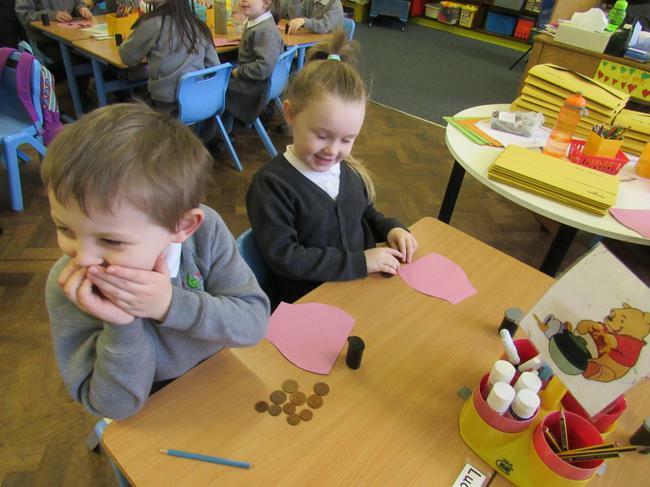 We are so clever!